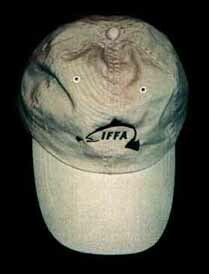 IFFA: "Adams Caps" are available for $15.00 USD each plus shipping in the USA. Please inquire regarding shipping rates to other countries. Contact Bob Kloskowski for postal rates to your country. Select either the Circle Design , the Fish Outline Design or the Triangle Design. 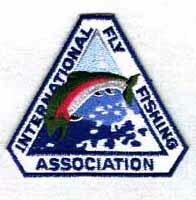 Patches with the IFFA Logo are available for $3.00 each. 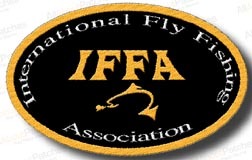 IFFA Decals are available for $1.00 each. Decals are of the same design as our new Patches and have an adhesive back so they can be placed on the outside of a window. 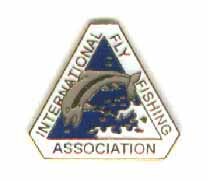 IFFA Lapel Pins are available as shown on the right. They measure 7/8 ". Price is $3.00 each plus $1.00 shipping and handling.